Alan Ho, an engineer in Google’s Quantum Artificial Intelligence Lab, told the conference his company expects to achieve quantum supremacy with a 49-qubit chip by the end of this year. This is not going to happen. Check back on this blog at the end of the year to see if I am wrong. There has been 25 years of research on quantum computer, and no one has achieved quantum supremacy. Now we have Google, IBM, and others making specific predictions. We will finally see whether they are right or wrong. And increasing the number of qubits, no matter what technology they are used with, makes it harder to connect and manipulate them—because that must be done while keeping them isolated from the rest of the world so they will maintain their quantum states. The more atoms or electrons are grouped together in large numbers, the more the rules of classical physics take over—and the less significant the quantum properties of the individual atoms become to how the whole system behaves. “When you make a quantum system big, it becomes less quantum,” Monroe says. Yes, there could be technological roadblocks to doing what they want. These problems have not been solved, and may never be solved. Chow thinks quantum computers will become powerful enough to do at least something beyond the capability of classical computers — possibly a simulation in quantum chemistry — within about five years. Monroe says it is reasonable to expect systems containing a few thousand qubits in a decade or so. To some extent, Monroe says, researchers will not know what they will be able to do with such systems until they figure out how to build them. Preskill, who is 64, says he thinks he will live long enough to see quantum computers have an impact on society in the way the internet and smartphones have — although he cannot predict exactly what that impact will be. This is more delusional thinking. A lot of smart ppl have done a lot of good theoretical work on what quantum computer algorithms would be feasible, with a decent number of qubits. The main application will be to destroy the security of internet communications. This impact will be overwhelmingly negative, if quantum computers are feasible. There are some other possibilities, like simulating chemical reactions. These might have some research interests. It is extremely that these would have commercial utility. It is even more doubtful that there would be any consumer applications. Quantum Computing is the very definition of "a clickbait hoax." "So we’re only 5 minutes into this talk and he has already started talking about parallel universes. The funder of D-Wave is actually saying with a straight face that we can start to exploit parallel universes by reaching into them and pulling out their computing power. Is that maybe the most incredible thing you’ve ever heard?" "Geordie Rose, Founder of D-Wave tells us about quantum computing and how he thinks we will be able to exploit parallel universes to solve problems that we can't do otherwise. Plus he has three predictions." Much of the interest in quantum computers stems from a 1985 John Deutsch paper on the universal quantum computer. He has been very much a believer that quantum supremacy will work by moving computations to parallel universes. A true quantum computer would prove the many-worlds theory, he says. There is absolutely no evidence of any universe beyond our own. So what right do they have to claim their machine will work in the "many-worlds" or "parallel universes" there is no evidence for? 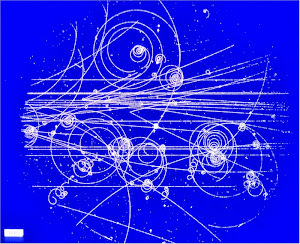 Deutsch would say that when they build a quantum computer (I mean a real one, with quantum supremacy), then that would be proof of the parallel universes. Where else would the mysterious computation be taking place, he asks. Does Aaronson actually think it will ever work? What is the purpose of all of the hype? To sell magazines or to make their companies look good for investors? And how will they spin it when they are unsuccessful? Google has killed a bunch of failed projects already. As long as its ad system is pulling in $100B or whatever it is, I doubt that the management is worried. 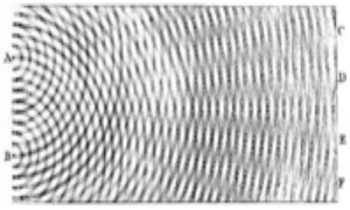 The D-Wave box is not a universal quantum computer, so I don't know if Deutsch would recognize it as proof of anything. Speaking of hype, what is your take on this, Roger? "Strange Noise in Gravitational-Wave Data Sparks Debate"
"“The only persons qualified to analyze this paper are in the LIGO Scientific Collaboration,” said Robert Wagoner, a theoretical physicist at Stanford University who is not affiliated with LIGO. “They are the only ones who have had access to the raw data.” Steinn Sigurðsson, an astrophysicist at Pennsylvania State University who is also not affiliated with either team, agrees. “For now, I’d definitely go with the LIGO people,” he said. “It is very rare for outsiders to find major errors in a large collaboration.”"
Well, why don't they share all that they did? Is not that the true spirit of science? Why keep things secret? Do not other bright folks deserve to see how the sausage is made? Here's another excellent article, even though I think it gives LIGO a bit too much "benefit of the doubt." Extraordinary claims require extraordinary evidence. LIGO has not provided this. A major shortcoming of the Danish group’s analysis that they pointed out to me is that the Danes use methods based on tutorials from the LIGO Website, but these methods do not reach the quality standard of the – more intricate – data analysis that was used to obtain the published results. LOL LIGO! Why not provide the public with tutorials that aren’t wrong?"